Mostly buildings reflected in other buildings ... click here to see them all. 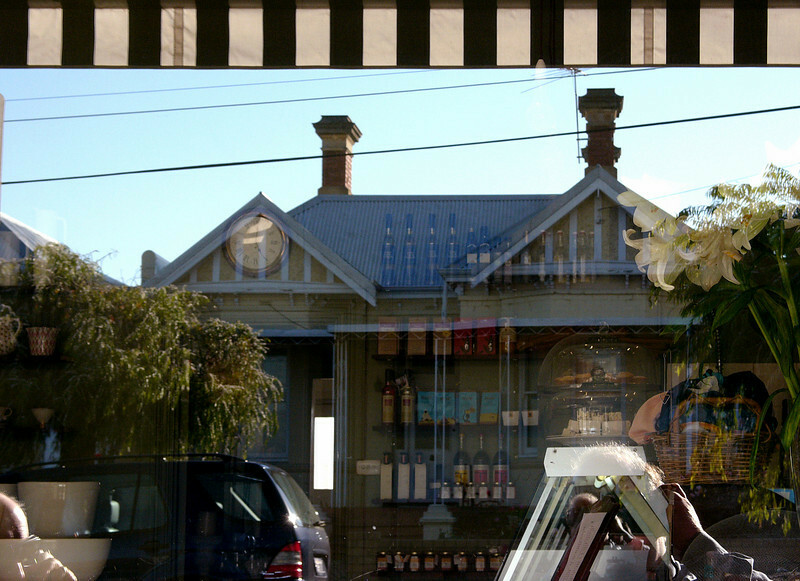 Deli window, North Perth, 2005. Ron at left on mobile phone, me and Digilux 2 on right.